I’m 43. I’m looking to payoff my mortgage. Can I withdraw from my Roth IRA to payoff my house without penalty? I have $52K in a Roth IRA. My mortgage payoff would be $77K. I have enough in savings to make up the difference. Can I withdraw without a penalty. Is it wise to do so? First off, can he do it? As it turns out, first-time homebuyers can withdraw IRA funds to help finance their purchase. As far as I’m aware, however, you cannot withdraw funds to pay off a house that you bought previously without incurring a penalty. That being said, you can withdraw Roth IRA contributions at any time, without taxes or penalty. 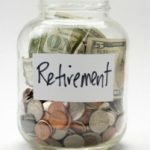 Moreover, as long as the funds are properly “seasoned” you can also withdraw Roth IRA conversions (typically five years after the conversion event) regardless of your age. But the same is not true of Roth IRA earnings, so be careful or you might wind up having to pay the piper. Next, should he do it? Without knowing the full details of his situation, it’s hard to say with certainty. However, my view is that it’s pretty much always a bad idea to willingly pull funds out of an account with such favorable tax treatment. There are also those that argue you shouldn’t pay off your mortgage any earlier than absolutely necessary. While I don’t adhere to such a hardline view myself, one thing is certain… Once the money is out of the Roth, it’s out, and you can only put it back via regular annual contributions (currently at $4k/year). While being mortgage-free is an enviable position to be in, having a shortage of retirement savings is a decidedly unenviable position in which to find yourself. Update: His mortgage rate is a very competitive 5.875% (presumably on a 30 year mortgage). It’s fascinating just having read through this thread that started 5 1/2 years and how much has changed in the financial and real estate markets during that time. Our perspectives and perceptions have evolved dramatically. I actually came here, and scoured the web, trying to figure out how to determine my contributions vs. my earnings in my Roth IRA. I haven’t kept track of what I contributed or when I even started. Also, if I’ve withdrawing contributions in the past, how do I know how much I’ve already withdrawn so that I only withdraw contributions and not earnings? I have a small mortgage balance of 22,500.00 and an even smaller roth of a little under $8,000.00, $20,000.00 in the bank.The wife has $10,000.00 in the bank, $40,000,00 in retirement . The roth has been in for over ten years and was initially $8,000.00, so it has only lost money.Thinking of withdrawing it and using other monies to pay off home.Have no other debts all cars payed off.going into retirement with a federal pension of $2400.00 a month and social security of $1000.00 a month.Interest rate of 6.5 on mortgage.payment of $280.00 a month. I have been giving the idea of cashing out my IRA to pay off mortgage much thought. The stock market and bonds market are too volatile. I don’t have the stomach for investment property. I will cash out and pay the 10% penalty. I will make it up in saved interest payments from my mortgage. Also, money in the market is at risk. Why do you think treasuries are paying virtually 0%? Also, taxes will be going up in the future, for sure. Cash out now, before it is too late!!! I don’t even know how I ended up right here, however I thought this publish used to be great. I do not understand who you’re however definitely you are going to a famous blogger in the event you are not already. Cheers! I have read all the responses and am still confused. My husband is hell bent on cashing out our Roth, Simple, and regular IRAS we accumulated over the last twenty years to pay off our mortgage. I remember when we first started investing the sales guy gave us the rule of 7 shpeel …blah blah blah. We aren’t gambling people and feel like the money we put in has basically been a gamble. He wants to get off this roller coaster. Also, I believe a good 70% + of the investment balance is our original investment which shouldn’t be penalized right? Extra info – I am working a good company now and have a decent retirement building there. He has no retirement building and has had to change career paths. I think this makes him feel like if he can’t provide a good paycheck he can at least say the house is paid off. As with most great controversies, I believe the answer to this one is ‘it depends’. When this thread started in 2007, my IRA value peaked at something over $700K. Late in 2008 it tanked at about $350K and, while much improved, is still is a long way from its all-time high. If I had pulled it all out at the peak and paid off my mortgage and saved the remaining cash (I am over 59-1/2), I think I would be better off today than I am now – even with tax consequences taken into account. Funny how the best sounding arguments can turn around quickly depending on the circumstances! I suggest you weigh all of the pros and cons, decide the best and worst that can happen, look at history (but not too much), look at predictions for the future (but not too much), temper it all with your personal/family situation, and do what you think is best for you and your family. What may have turned out to be a very bad idea in 2007 may turn out to be quite a good idea in 2010 and beyond! I also find this string interesting going back a couple of years. Though we need to make sure we have enough for retirement and we also need to be able to pay to keep the lights on even with no mortgage, in these tough times I feel differently than a few years ago. First, to answer Bridget, I would not take out money to “pay down” a mortgage unless you have one of those hybrid mortgages whereby your monthly payment is actually reduced because of a large lump sum principal payment. Even so, I veiw a “pay down” different than a “pay off”. I am reluctant to use retirement funds for a “pay down” because if you owe even a small amount to the bank, if your situation turns dire, you can lose your house AND all the equity – very risky!!!! Also, age has a lot to do with it as does job security. I have a lot of “formerly” very well off friends who wish they paid off their mortgages when they had the chance – no they are either living with friends, family, or they are on the verge of homelessness because their comfortable jobs and comfortable lives evaporated during the depression – uh – I mean recession. Generally, life being secure and the mortgage being affordable with a low interest rate, I would not touch retirement funds. BUT, if there is even the slimmest chance you will ose your job or experience some other financial disaster that may put you in the street, PAY OFF THE HOUSE (NOT PAY DOWN – PAY OFF). If you go homeless now, and die on the street, all the retirement savings on the planet will not help you later – there won’t be a later. ALTERNATIVE: Want to pay off the mortgage? Buckle down and live like you are homeless even though all is fine right now. HOW? Become an ebay seller (plenty of how-to’s out there), hold garage sales, bring stuff to consignment shops, make donations and use any tax return cash, each beans and rice or mac and cheese or soups and cereals and canned tuna 5 days a week for a year, sell one of your two cars or car pool, sell grandmas silver or that gold coin uncle gave you when you were a kid, or that old heirloom watch sitting in the drawwer from an unknown relative you never knew—- put all cash from sales, food savings, etc. into short term 3 month or 6 month Certificates of Deposit to earn interest while you accumulate, depositing monthly, staggered with regularly scheduled materities, and use this money to pay off your mortgage while keeping your cash in place for retirement. Live now like you are homeless and maybe you will never be homeless! Have you cake and eat it too. What if the individual has a military retirement, survivor benefits set up for wife, and currently a retirement investment with his current employer? Is it still a bad idea to take his ROTH Ira’s = 50,000.00 to pay down his mortgage? I read about a few of the Dems who are considering a “one-time tax” on those with large 401k accounts. I’ll probably be laid off later this year and I’m almost positive I will knock off 50k of my remaining 90k mortgage in 2010. I’ll knock out the remaining 40k within 2 years by upping payments. I got into a cash account early into the crash and have 230k remaining, but still lost 80k within weeks. I don’t trust this market or this gov’t, and I can’t even begin to imagine how liberated I will feel without the threat of losing my home. I can see myself taking a few risks I would never consider at this point. I don’t have the luxury of a trust fund or an upcoming inheritance to look forward to. I’ll be putting my money into things I control from now on. Has anyone even considered how much of an effect on the market all these automatic deposits have been making? Prices have risen because people have been programmed to contribute throughout the cycles that the traders have been participating in and profiting from. It is interesting to read all the advice in this thread back 2007. I wonder what they think now? I would have told him to sell, pay off the house and save money to buy real tangible assets. Probably still a good idea. Ken: What do you plan on doing if your house is damaged/destroyed after you ditch the insurance? Well im thinking of paying off a 46k mortgage with ira money so i wont have to pay my homeowners insurance which is over 2k now. Im also unemployed. I cant think of a way to take it out with out penalty and taxes. The insurance is linked to the loan. any help would be appreciated. Yes im under 59-1/2. The homeowners insurance is high because it is coastal property and as a matter of fact the state is the only one offering insurance at a very high cost. How much would the penalty be on cashing out a $10,299 6 Month Fixed IRA CD? Might be going throught the big “D”. Well. Nobody looks at news or worries about thieves are running our financial system. If I would have withdrawn my 401k in June, I would have been able to pay off my house and have more than twice cash as my present 401K value. I say do it. You don’t know if your going to be alive tommorrow. pay off the house and live stress free for a while!!! Glad to hear you’re not pulling the money out of the IRA. Financial flexibility is a valuable asset unto itself. I was the one who asked the question in the first place. I wanted to know if it was wise to payoff my mortgage without being penalized for withdrawing from my Roth. I’m not desperate nor have I gotten an inheritance. Its more like wanting to just get out of debt. The only other outstanding loan that I have is a student loan at a whopping 2.77% I just figured that being out from under the mortgage (even though I do get a good tax break every year) was being financially responsible to my family. And the fact that my daughter will be starting college next year as a premed student did have a driving factor. Rest assured that I won’t be pulling the money out! Vive and pf101: You are correct about the $10k limit. I didn’t go into further details here because that doesn’t apply to this case. pf101: You are likewise correct about the 60 day ‘rollover’ period during which he could put the money back into a Roth. Given that he’s planning on putting the money into his mortgage, however, that won’t be an option unless he turns around and refinances his home to get the money back out such that he’d have the cash on hand to put it back in. That’s why I didn’t address that here. However, you have a valid point. thc: I actually did ask about why he was interested in doing this, although I didn’t spell it out here. I’m paraphrasing here, but… He’s heard a number of pundits warn of a coming market correction (“bubble burst” in his terms) and was thinking of liquidating his holdings killing off his mortgage. My response was that, even if he was totally convinced that getting our of the market and moving to cash was a good idea (note that I’m *not* saying that it is), then there’s no reason he has to go the additional step of pulling the money from the Roth to pay off the mortgage. These are two separate decisions, and there’s no reason to necessarily link them. So… In my opinion, this is a very bad idea. I’d also argue against the notion of liquidate his stock holdings and moving to cash, but that would be far better in my view than cashing out the Roth entirely. I would have to go with the majority that this is probably a bad idea but it’s hard to say a firm yes or no without knowing the whole story. It would be hard to think of a good reason to do this though. 1 – Nickel you CAN replace money taken out of a Roth IRA, IF you do it within 60 days. After 60 days, then it’s gone for good. 2 – Vive, you are correct, there is a $10k limit. 3 – THC, several people asked why he wanted to pay off the mortgage and I doubt most people here want to be FPs. I believe there is a $10k limit on this. OMG NOOOOOOOOOOOOOOOO! Don’t do this! Having your house paid off does not equal freedom! NOOOOOOOOO!!!!!!! I’m pretty sure the rate he would be getting the IRA will be more than the rate he is paying on his mortgage. Combined with the tax advantages of both his IRA and being able to write off interest on his mortgage, it seems a no brainer. Don’t touch the money if you don’t absolutley need to. It’s interesting that so many folks are quick to offer advice without understanding the circumstances. No one thought to ask the obviouse question, “Why is it important to you to pay off your mortgage?” You’d never make it as financial professionals. 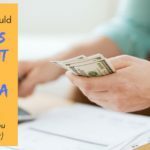 Paying off the mortgage with the IRA funds could be a good idea but we do not have enough information to answer the question without mortgage details and income and tax bracket estimates stretching into retirement. Yep, we need to know why he’s “looking to pay off” his mortgage. If it’s just the peace of mind of knowing that the house cannot be taken away, then maybe he can have that just by knowing that he has enough to pay it off at any time. But if he pays it off, that’s all he can do. If he leaves the funds in the IRA, he has the flexibility to use the money for something else later, if something else becomes more important. Also, I want to point out that once your house is paid off, you still need to pay taxes on it (yes, it can still be taken away from you) and you still have to pay for upkeep and repairs. Life is not perfectly secure. I’d hang on to my flexibility and make sure those IRA funds are invested properly for my needs–most in broad index funds for growth, some in bond funds to help him feel secure. On the other hand, if he’s a spendthrift and just inherited this IRA and is going to cash it in immediately if at all possible, either to pay off the house or to add a pool or buy a BMW, then all of a sudden I think paying off the house is an excellent idea. No way would I touch that money! This happens more times than a lot of people realize. They take their eye off the ball for what appears to be short term gains. I have to agree that this is a terrible idea. I wouldn’t touch any of that money. Hopefully, this isn’t a desperate situation. not sure the reason for paying off the mortgage early. That would be the driving factor behind answering the question. just to pay off the mortgage makes no sense. remember equity in a house only appreciates if the market in the area is appreciating and if you are going to sell; otherwise, it is depreciating at least the rate of inflation and at worst the opportunity cost. to pay off the mortgage when you can earn money off the money doesn’t seem worth it unless you feel more comfortable without a mortgage. taking away from your retirement savings and putting it into your house has no value unless you are planning on selling the house, and you can earn a profit from the house, when you retire. you still need to live somewhere though. so you will be living in a paid off house, without any retirement savings or far less of retirement savings. I agree with everybody else; I wouldn’t do it. Especially given the interest rate he has. But yes, he could do it. He just shouldn’t bother. This is a horrible idea. He is just about getting to critical mass on this money. He will make way more than 50k by leaving it in the account for the last 20 years. In fact, he will probably be making about 100k on that money even if he doesn’t touch it a bit. By the simple rule of 72, we know that if he gets an average 10% return and leaves it in there for 14.4 years, he will double his money twice. This means that 50K will be 200K and it will be completely tax-free. At age 43, it is quite reasonable to think that he will be working for another 20 years. In my opinion, if he is really concerned about the size of his mortgage and the volitility of the market, he can hedge his bets by reducing his annual contributions to the roth a little bit and pay down the principal of his mortgage, but leave the existing money alone. But you also have to consider the fact that he could easily live 40 more years. And if he doesn’t touch very much of that money, he could easily use it to pay off the rest of his mortgage at some point in retirement with tons to spare. Touching retirement funds = not good unless you’rein dire straights. Touching retirement funds to pay off a low interest rate debt = not good period. I don’t think it’s a great idea either. But stranger things have happened. Like my MIL liquidating her 401K funds (with penalty and losing the death benefit) in order to bail her other son out of credit card debt…..again. I’m of the opinion that he almost certainly shouldn’t take the money out. Possible exceptions include having sufficient funds for retirement anyway and being confident that he won’t live until retirement. Its all because the contributions are so limited that makes this a bad idea. You can’t just replace the money quickly with the house payment money if your mortgage payments are more than $333.33 per month. So whilst generally its not great financial sense to pay off cheap debt, in this case its even worse.